So exercise…not my best friend lets say that. Exercise is something I do so little of, actually I practically do none. In spite of this, I have signed up to a gym (yaay). 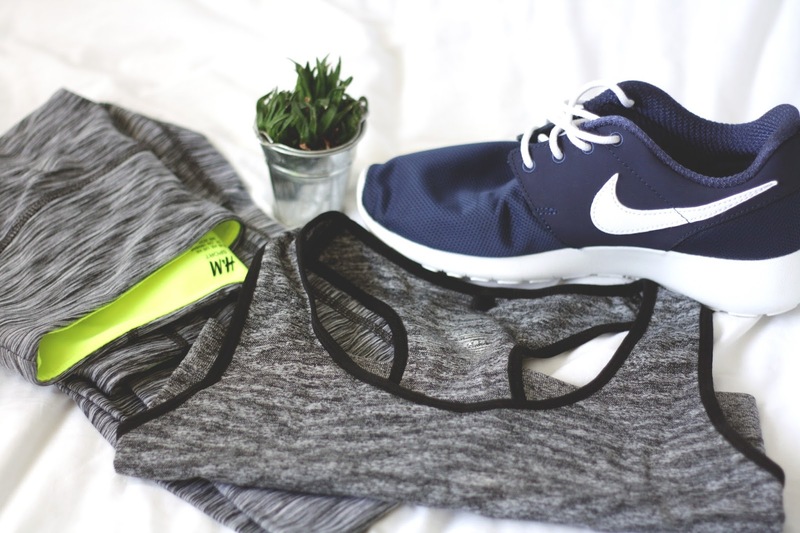 Probably the most enjoyable part of this, is choosing out some really nice sportswear so you can look half decent when you’re sweating like nobodies business on the treadmill haha. The first place I popped into was Primark – not the first place you’d think of when you think sportswear, but they do have some pretty decent bits and pieces around. I picked up a really nice grey sports bra, and the best part about this was it was only £3.50! Bargain if you ask me. I can’t find this one their website sadly but I’m sure they’ll still have it in stores. I like how supportive it is and how comfy it is, because sometimes its difficult to find a genuinely comfy sports bra. 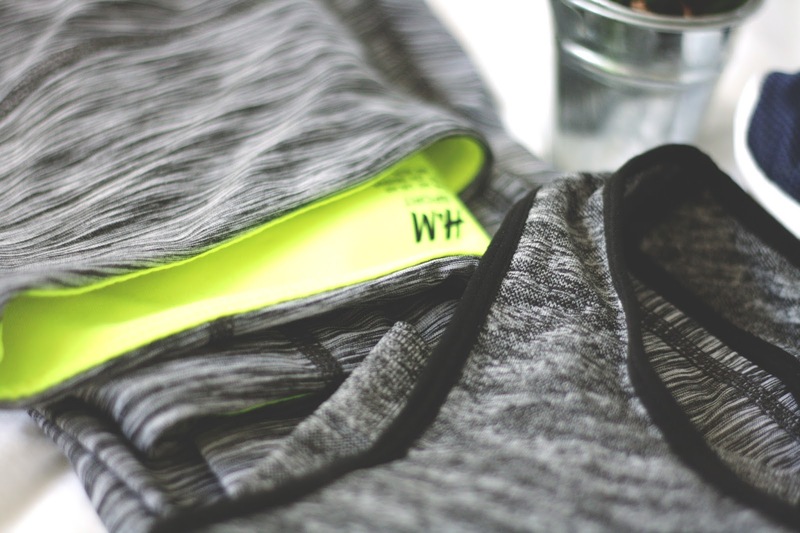 The second place I went into was H&M, and wow do they have some super funky gym clothing. I needed some leggings/trousers to wear and I spotted these, which I love. They kind of match the bra as well so thats a bonus. You can get these here. These weren’t the most expensive either and £14.99, plus they fit so well and are very easy to move about it. Love them! Finally I thought I’d treat myself to a new pair of trainers, although I do have a bright pink pair of Nikes. I opted for some Nike Roshe Runs in navy. I actually got these in the junior section of JD Sport as they go up to size 6.5 and I’m a size 5. Also these were only £30 opposed to the £70 that adult roshes are. Crazy right?! Anyway, I cannot describe just how comfy these shoes are, I feel like I’m walking on clouds. They fit perfectly and feel so comfortable to walk/run in. I’ve never had trainers that feel THIS comfy, so I’d highly recommend these bad boys! Where do you buy your sportswear from?